Bill Healy is an independent journalist based in Chicago, and was part of the Social Justice News Nexus inaugural group of fellows. He has worked with WBEZ, Chicago’s public radio station, on investigative series on juvenile prisons, the heroin trade and education. Bill photographed This American Life’s award-winning episodes on gun violence and Harper High School in the city’s West Englewood community. He spent several months co-reporting a series for The Windy City Times on gay and transgender young people living on the streets of Chicago. Bill has recorded for NPR, the BBC, American Public Media and the Canadian Broadcasting Corporation. Bill studied Sociology at Georgetown University and has Master’s degrees in Journalism and Education from Northwestern University. 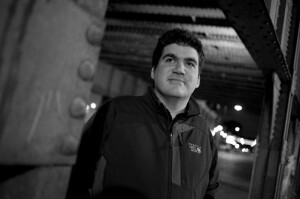 Bill currently produces the weekly StoryCorps segment for WBEZ and teaches journalism in Northwestern’s graduate school. He lives in Chicago’s Beverly neighborhood. Follow Bill Healy on Twitter @chicagoan.